Are you a freelance web designer and are now regretting over your decision of starting a freelancing career due to the ever-increasing stress? But how can you get over that ever-increasing workload stress? Here’s a little listing of some healthy tips to ensure that you are able to avoid stress that’s usually associated with sitting in front of a computer all day long. Freelancers and even the full-time designers are advised to avoid sitting in front of computers for a relatively longer period. It is suggestible to break the gaze and leave the desk for a few minutes, every hour. In addition, it makes sense to take a stroll around for at least two-three minutes every hour. This would help you save yourself against DVT and bring the blood circulation back to normal levels. While doing freelancing or working anywhere it is important to follow some guidelines for achieving a correct sitting posture. Always, sit up tall and push your hips as far back as you can in the chair. Make sure that you adjust the seat height to keep your feet flat on the floor. In addition, make sure your knees are slightly lower than your hips. Remember to sit close to your keyboard. Adjust the keyboard height to ensure that your shoulders are relaxed. Also, position your computer at least 2-3 inches above your seated eye-level. “Sit at least an arm’s length away from the screen and adjust the distance for your vision. Reduce any glare by carefully positioning the screen, which you should be looking almost straight at, but partially looking down. Adjust any curtains or blinds as needed. Adjust the vertical screen angle and screen controls to minimize glare from overhead lights.’’ – says wikihow.com about keeping a right posture when sitting in front of your computer. A risk of working from home is that you may gradually start isolating yourself from your friends and relatives. You start giving more time to work in the absence of any set schedule. As a consequence, you may become a solitary soul, both mentally and physically. This may eventually develop the tendencies of depression and chronic illnesses. It makes sense to socialize with group of friends, family or fellow freelancers. Arrange weekly or monthly get-togethers with your family, go out for weekend breaks or plan a picnic with your spouse or lover! This will not only help you reduce your stress levels tremendously. 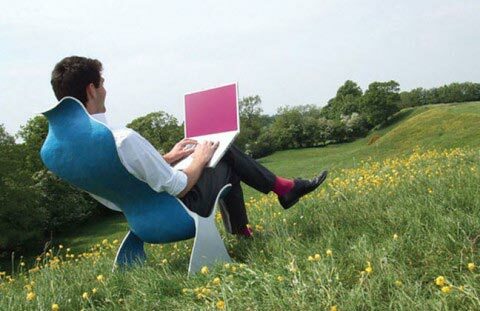 Some freelancers prefer working at spaces specially designed for freelancing job. With a community of freelancers around, you have an office like feeling with no restrictions of shifts, timings, dress code etc. Such platforms give you a chance to easily join and socialize with a community of freelance designers. 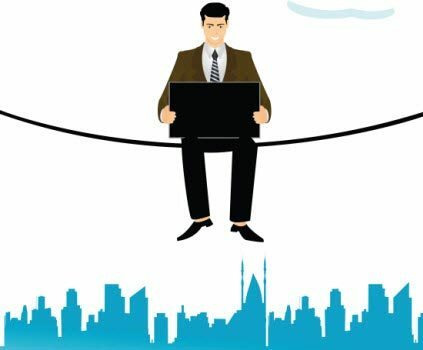 These are just some of the many tips that you should follow to keep yourself physically and mentally healthy against all stress of your freelancing work. Of course, you must also ensure taking healthy diet full of fruits and vegetable and embark on a fitness regime to keep fit and healthy.